Like people in North America, more and more dogs are suffering from obesity. It has been reported that over 50% of dogs in North America are overweight. Overweight dogs can easily develop numerous health problems (see below), and eventually they will have a shorter life span. Some dog parents seem to think that a chubby puppy is cute and, if the puppy is healthy and looks good, they do not have to do anything about weight control. Although puppies may look good and cute with a bit of fat, if they are allowed to continue to gain weight, they will have a lot of problems when they reach midlife. Give your dog a "hug" and feel her shoulder blades, spine, and ribs. You should be able to feel each individual rib with a slight layer of fat over them. If you have to work at feeling those ribs or cannot feel them at all, it means your dog is obese. If, on the other hand, you can see the ribs, your dog may be too skinny. Feel the area over the base of your dog's tail. A slight layer of fat over the bones is good. If the bones are hard to find, she is overweight. Look at your dog from the side. The waist should again be visible as a "tuck" behind the rib cage area. If her waist is the same as her chest, she is definitely overweight. Is your dog a couch potato? Just like people, a lack of exercise will lead to obesity in dogs. An active dog will naturally use more calories. Moreover, an active dog is a happy dog and that makes her less likely to "binge" out of boredom or stress. 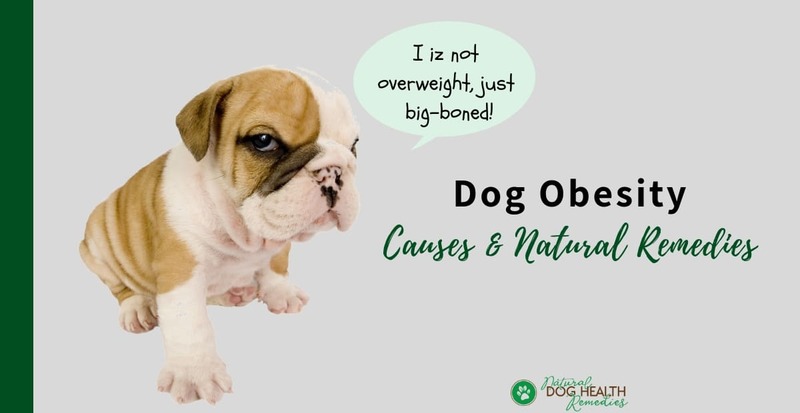 Poor quality commercial foods and treats that contain too much fat, grain-based carbohydrates, and sugar as well as insufficient amounts of protein and vitamins will also create obese dogs. Even if your dog consumes large amounts of food, if the food does not contain sufficient nutrients, she will feel hungry at a "cellular" level. Also, even if you are feeding your dog a high-quality dog diet, she can still put on weight if the type of food is inappropriate. For example, a mostly inactive dog will easily put on weight if she is fed a high-energy dog food. Very young dogs (2 years or younger) and older dogs (over 7) are less likely to become obese. The most susceptible age range to develop obesity is between 2 to 6 years of age. 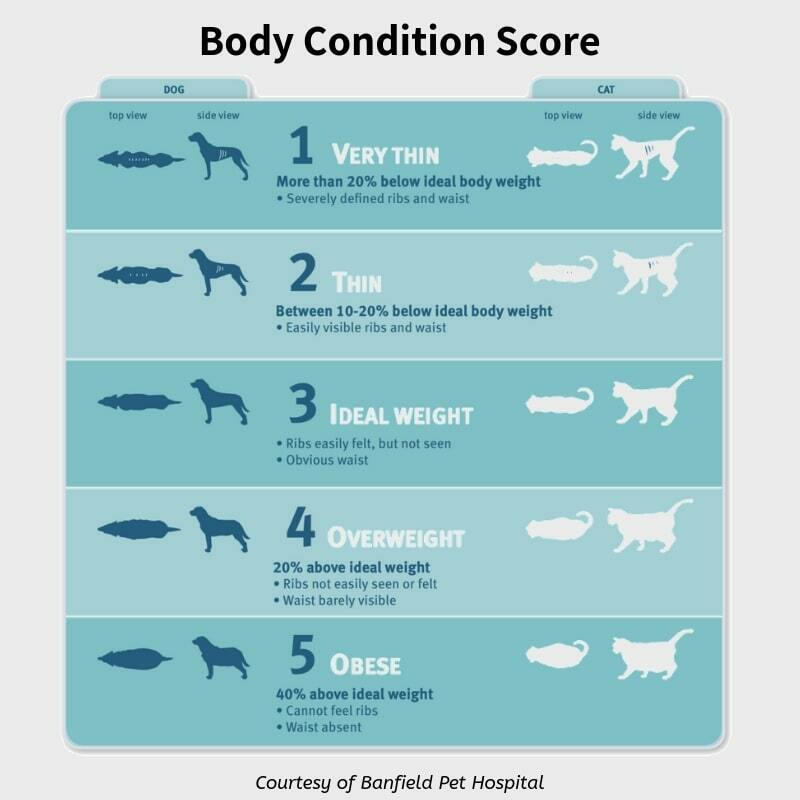 If your dog is one of the above breeds, you should watch her weight carefully. If your dog suddenly puts on weight over a short period of time, she may be suffering from a more serious health problem such as hypothyroidism. The defective or sluggish thyroid may not be healthy enough to speedily process fat in the body. If you suspect your dog is suffering from hypothyroidism, or if you think your dog's weight gain is caused by a deeper underlying cause, consult a veterinarian immediately. According to Dr. Jean Dodds, DVM, a state of chronic cellular inflammation can also contribute to obesity. Due to an ongoing state of inflammation, the body tissues become deficient in antioxidant mediators (e.g. glutathione, ascorbic acid), and this can result in obesity, infections, and even cancers. Why is Obesity Bad for Dogs? According to a 2012 report by Banfield Pet Hospital, 42 percent of dogs with diabetes are overweight! Dogs suffering from obesity have higher blood sugar level, and as such a higher level of insulin is needed to be produced. However, diabetes mellitus develops when the body cannot produce as much insulin as required. Prolonged excessive demand of insulin secretion can cause "overwork" in the cells in the pancreas (which produce insulin), resulting in their inability to produce adequate amount of insulin. This again leads to diabetes. The same Banfield report states that one in three overweight dogs develop arthritis and other serious joint complications. Because of the extra weight that the joints have to carry, over time they can become damaged. Arthritis can develop and joint pain associated with hip dysplasia can become more severe. Obese dogs can also suffer from damage of certain ligaments in the knee. (Ligaments are strands of tissue that hold one bone in proximity to another bone in joints). Extra tension on the joints as a result of obesity can actually strain or tear the ligaments in the knee, making the knee unstable. When this happens, surgery is needed to repair the torn ligament. Overweight dogs are more intolerant of the heat. The reason is, fat is an excellent insulator, which makes the body much less capable of regulating its body temperature. This can cause lethargy and fatigue in an obese dog especially in the summer heat. The extra fat in overweight dogs can interfere with the proper functioning of the lungs. The extra fat in the chest area restricts lung expansion. However, obese dogs need more oxygen because of the increased quantity of tissue in the body. 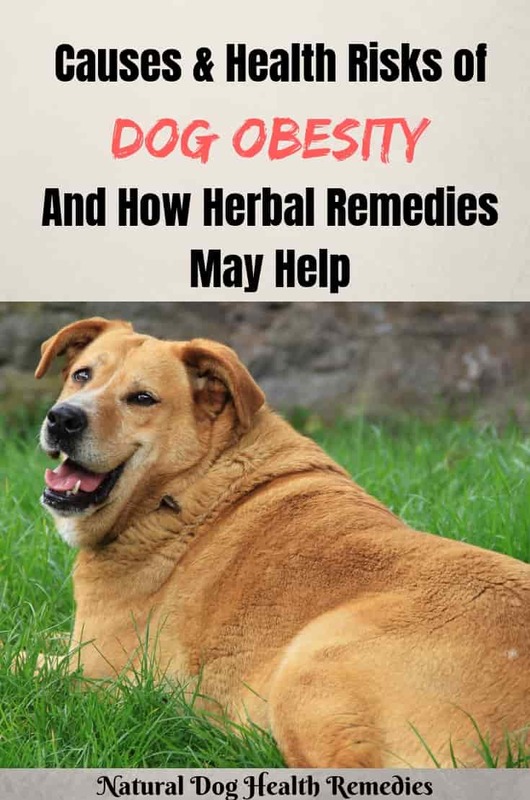 All these put a heavy burden on the lungs and the result is serious particularly for obese dogs who may already have some underlying respiratory issues. Overweight dogs tend to suffer from high blood pressure (hypertension). The Banfield 2012 report states that more than 40 percent of dogs with high blood pressure are also overweight. The heart has to work harder in order to pump additional blood to the increased quantity of body tissues. Over time, this can lead to congestive heart failure. The liver is the organ where fat is stored. For dogs who are overweight, it means that their livers have a build-up of fat, resulting in a condition called hepatic lipidosis, or "fatty liver", which can lead to improper liver function. Overweight dogs are also at higher risks for inflammatory diseases, including cancer. Obesity can change the metabolism of some hormones that monitor cell growth, differentiation, and cell death. This can result in abnormal cell growth and mutation, leading to cancer. As you can see, obese dogs face various health risks. If your dog is too pudgy, therefore, it is important to control and manage her weight through diet, supplements, and exercise. Herbal remedies are also helpful in regulating and supporting various important organs that can be affected by the extra fat and weight. Kelp is antihypothyroid, and is rich in vitamins A, B, C and D, as well as minerals (such as iron, potassium, magnesium, zinc). Using kelp as a supplement can help restore a healthy metabolism in dogs. Dandelion is a general stimulant for the liver and urinary system. It helps to detoxify the body and get rid of excess fats and chemicals. In addition, dandelion is rich in vitamins A, C, E, and B complex, as well as useful chemicals such as potassium, calcium and iron. Another effective herb to combat obesity is milk thistle. Like dandelion, it also detoxifies the body by removing excess fats and chemicals, thereby restoring a healthy metabolism in dogs. 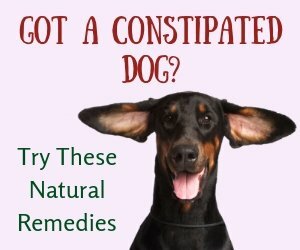 Please also visit this page for more information on other ways to help dogs to lose weight, such as low fat dog food, beneficial supplements, and exercise.